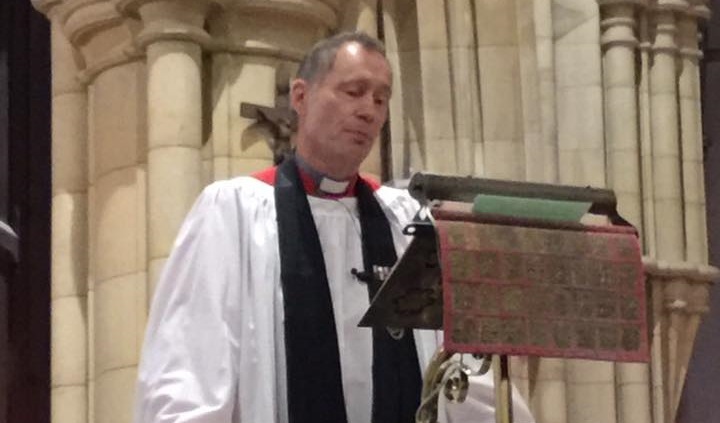 At our Nine Lessons and Carols Service at All Saints in Marlow, Jonathan Chaffey delivered a talk that was so powerful that many people have asked if they could listen to the recording. Unfortunately this talk wasn’t recorded, but below you can read a full transcript. If we’d needed simply a message, God would have sent an e-mail or a tweet from heaven; if a change of leadership, then perhaps a statesman. If poverty could have been eradicated through more equitable sharing of resources, then he might have raised an economist. But no – a fundamental problem requires a transformational solution. And so he gave us a Saviour. ‘The Word became flesh and dwelt among us’. Again, not a lawyer, as though a legal contract would help us keep our word – not a scientist, as though new discoveries would give us humility in the face of God’s amazing design – nor a psychologist, as if greater empathy would ensure perfect harmony – and not an environmentalist, as though a call for responsible living would cure our greed. No, the transformation from darkness to light requires nothing less than a Saviour. A Saviour whose impact is both cosmic and personal; a Saviour whose reach, challenge and invitation affect all humanity, in fact the whole of creation. What does it all mean? This carol service is a wonderful encouragement to pause and consider the significance of Jesus’ birth. It’s not easy to grasp its implications; his birth turns so much of our thinking about status and power upside down. I was privileged a few years ago to attend a course looking at the instruments of international power, such as the UN, NATO, global finance, politics and other influences on security, stability and prosperity. It might therefore seem incongruous to our assumed understanding, to hear again the ancient prophecies and first-hand accounts of the nativity, and to listen likewise to the beautiful choral singing inspired by that event – because these point to a small child exercising an authority that is unlimited by time or space. As one hymn puts it: ‘meekness and majesty, manhood and deity, in perfect harmony, the man who is God’. So let us first wonder at the fragility of his birth – that the Son of God was born into serious poverty, in a land under military occupation, and that he swiftly became a refugee from terror. And because those severe circumstances are familiar to literally millions in the world today, let us also thank God for this proof that no cause is so desperate that he is not present, no situation so dark that he cannot penetrate it with his light. ‘In him was life and that life was the light of all people’. We live in a world of great beauty – as anyone would appreciate who had watched Planet Earth recently, enjoying amazing glimpses into the hidden wonders of the natural world. Yet we also witness profound suffering, as with the images and stories of Aleppo – but you could add the poverty and brutality of S Sudan, the despair felt by countless numbers prepared to risk the crossing of an ocean in a flimsy craft in the hope of a better life, the targeted persecution of Christians in North Africa, or the fear of women and girls subjected to violence through a man’s love of power. It was probably 100 years ago this week that the parents of Henry James Boynton received a telegram saying that their son had been killed on the Somme – you might want to read the inscription on his memorial in church. It is a source of tremendous comfort to all who experience such desperate news that Jesus has been there. And in a year of considerable uncertainty on the global scene, as in the politics of Europe and the USA, at a time when we question nationally what we stand for, what our values are, he understands our uncertainties and shows by his words and actions a better way. I don’t know your personal circumstances, hopes and concerns, at home or in your wider network of friends and interests – but through the birth of Jesus, God is saying that he is present and will journey with us. I can testify to that truth from my work with soldiers, sailors and airmen/women. I have witnessed astonishing acts of bravery and selflessness in the face of great inhumanity – for me, these are signs of hope, of God’s presence, of his breath and image within us – how logical then that he should actually walk on earth alongside us. But God did not just do that, he did not just identify with those who are vulnerable, in difficult places – Jesus came on a mission. The arrival of the Son of God meant things were never going to be the same. One of the Nuns of a nearby convent was describing to me a few days ago how, after a lifetime of prayer, she had come to recognise God as ‘Unlimited Love’. When you add God’s concern for justice to his unlimited love, you have an astonishingly potent combination. That’s why the wood of the stable became the wood of the cross, as the love of Jesus compelled him to take all the sin and pain of the world on himself. And because he completed his mission, John could later offer the invitation: ‘To all who received him, to those who believed in his name, he gave the right to become children of God’. If you sense God speaking to you, stirring you to faith, perhaps for the first time, don’t ignore that call. You might want to sign up for the Alpha course in January or speak to Dave or a Christian friend. This invitation is addressed to each of us; we simply cannot take it lightly. But of course, the invitation is not just to receive Jesus ourselves – and so I want to leave you with a challenge. Jesus became present for us; will you be present in his name for others? St John concludes the passage we’ve just heard: ‘We have seen his Glory, the glory of the only Son of the Father…full of grace and truth’. Will you endeavour to reflect the glory of Jesus? It is seen in practical service, as in support for local charities like the ‘One Can Trust’ or Wycombe Night Shelter? Will you show a ‘hospitality of the spirit’, where you listen deeply and accompany others in their joys and sorrows? This is the outworking of faith, the profound offer of shelter for body and spirit. As we respond to the invitation of Jesus to receive his unlimited love, so he calls us, in a very need world, to share his grace and truth with others.